The Institute is organizing a series of roving exhibitions on campus at nine local tertiary institutions in April 2019. 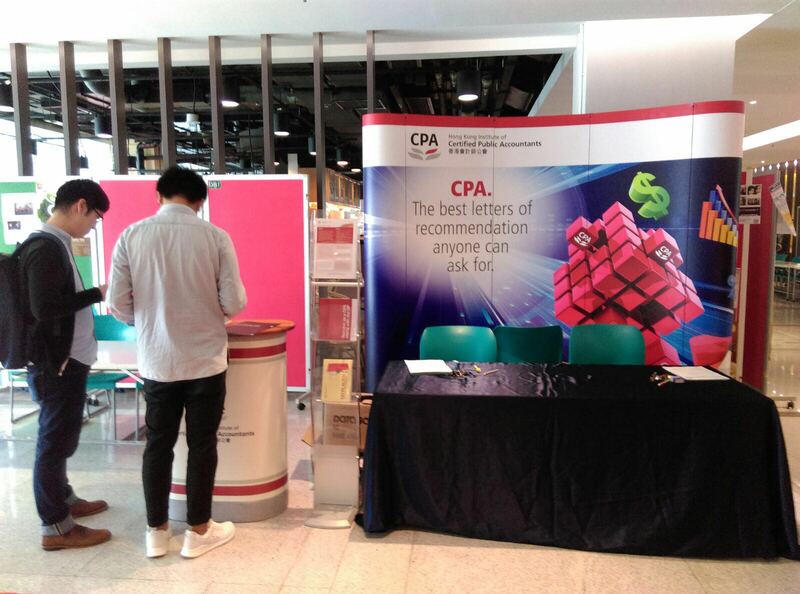 At the exhibitions, students can obtain information about the structure of the Institute's professional accounting education programme, the Qualification Programme (QP), and how it helps them get ahead in their careers. Final year students who would like to join the QP early-registration scheme may submit their registration forms at the exhibitions. Deadline for enrolling in the scheme for the December 2019 examination session is 18 April 2019. Please click here for the exhibition details at each tertiary institution. Please click here to see more details of QP Affiliate Club e-newsletter March 2019 issue properly.